Integrative Medicine of New Jersey is thrilled to announce that we are now carrying Theramu – all natural pain relief, anti-inflammatory and skin reconditioning products! Theramu products are all natural topical ointments and sublingual elixirs that work with our body’s own endocannabinoid system to promote relief and healing. The endocannabinoid system is the thermostat for all cell function in our bodies and Theramu’s pure, pharmaceutical grade CBD works directly with the immune receptors in our cells to provide relief for a wide variety of ailments by bringing our bodies back into healthy homeostasis. Relieve Pro (w or w/o menthol): Relieve Pro is a topical ointment that contains 250mg of CBD per ounce. The combination of CBD and emu oil, provides transdermal pain relief that is not achievable through other CBD based products. Relieve Pro is not masking the pain but instead going to the source of the pain to attack the cause of the pain. The Relieve line of products has also been very successful in treating skin ailments from eczema to psoriasis to burns and more! Calm Pro (Mango, Peach or Pineapple): Calm Pro is a sublingual elixir that contains 750mg of CBD per one ounce bottle. The bioavailability of the CBD is maximized by keeping it under your tongue for 20-30 seconds before swallowing. The Calm Pro also contains the purest available emu oil which is also a natural pain reliever and anti-inflammatory and is also rich in omega 3, 6 and 9 fatty acids and is naturally hypoallergenic and non-comedogenic. Calm Pro is also an amazing anti-anxiety product. Patients use it succesfull for everything from overall anxiety to an effective sleep aid. The Calm Pro can also be used as a topical skin serum to stimulate collagen growth and reduce the appearance of black bags under the eyes, fine lines and wrinkles! Soothe Pro: The newest addition to the Theramu family of products is Soothe Pro bath crystals. Soothe is amazing for overall pain relief and skin relief. They are available in 4oz (4 baths) and 10oz (10 baths) sizes. Use Soothe to treat aches and pains or itchy skin, or just to take the edge off at the end of a hard day. Theramu uses only the highest quality ingredients in their products. The CBD is European sourced and every batch is lab tested to ensure that there are no heavy metals or pesticides present which is a risk when using CBD of unknown origins. Industrial hemp is a very aggressive plant and it will pull anything out of the soil so it is imperative to make sure that you only put 100% pure CBD into – or onto – our bodies. Theramu works with the only FDA approved emu oil processor in the world. Their proprietary refining processes ensure the purest and most transdermal oils available. 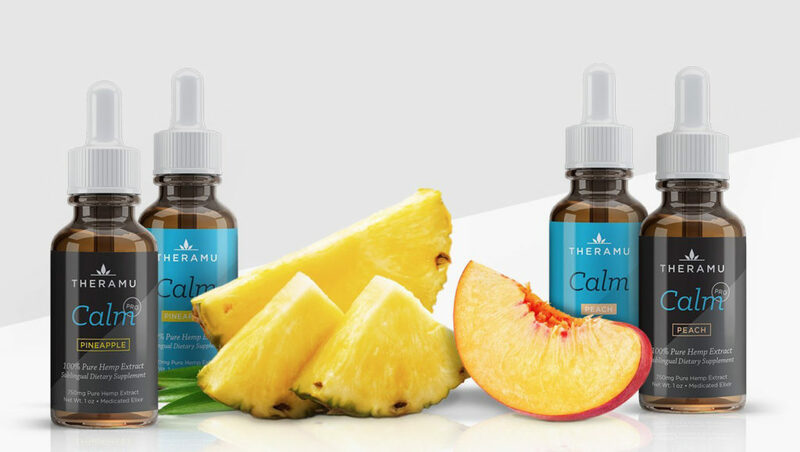 Theramu’s attention to detail has resulted in the purest and most effective CBD products available anywhere!